Easterfest is a three-day national music festival at Easter held in the beautiful Southern Queensland Country regional city, Toowoomba. It is one of Australia’s largest drug and alcohol free ticketed precinct in Australia. 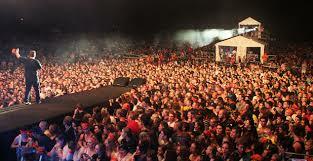 Thousands of people travel to Toowoomba from all over Australia to be part of the incredibly atmosphere at Easterfest. Over 150 artists will perform throughout venues in Queen’s Park and in cafe’s, restaurants, pubs, outdoor stages and shopping centres in the Central Business District.